The ALS provider course is designed for healthcare professionals who would be expected to apply the skills taught as part of their clinical duties, or to teach them on a regular basis. Appropriate participants include doctors, paramedics and nurses working in acute care areas (e.g. ED, CCU, ICU, HDU, operating theatres, acute medical admissions units) or on resuscitation /medical emergency/ICU outreach teams. All applicants must hold a professional healthcare qualification or be in training for a professional healthcare qualification. Applications are welcomed from all doctors who are at a grade of FY2 or above. Places are not allocated on a first come, first served basis. All applications will be reviewed after the closing date and candidates will be selected. Please note, places are only confirmed after payment has been received. This interactive one-day course allows you to re-certify your ATLS Provider status. It has been designed as a straightforward and cost-effective way to re-certify, compared to re-taking the full two-day ATLS course. The ATLS provider status is valid for four years from the last day of the provider ATLS course. Delegates would need to re-certify within 4 years and 6 months from the last day of their provider course. Advanced Paediatric Life Support is taught, and its principles practised throughout the world. Over 83,000 candidates have completed the course since its inception in 1993. The 3-day APLS course comprises of a flexible one-day on-line component (VLE) and a two-day face-to-face course. 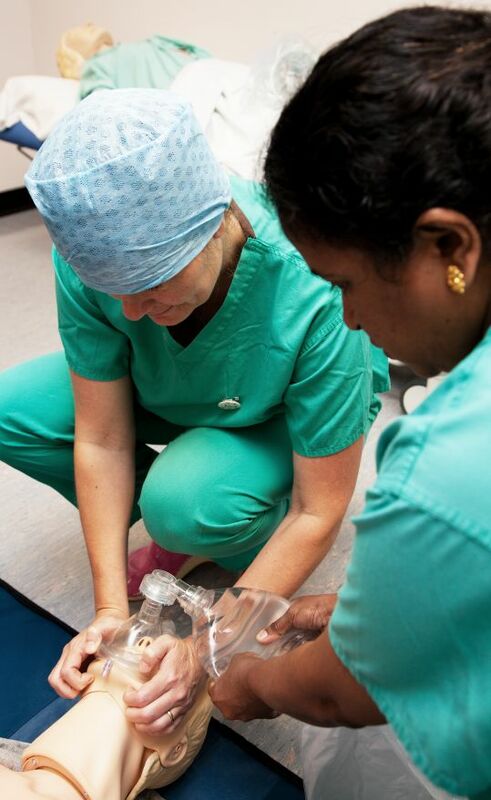 Candidates who have taken the course include Consultants, Advanced Nurse Practitioners and Resuscitation Training Officers from Accident & Emergency, Anaesthetic and Paediatric departments. The EPALS course is designed for healthcare professionals who would be expected to apply the skills taught as part of their clinical duties, or to teach them on a regular basis. Appropriate participants include doctors, nurses and paramedics working in direct contact with children. All applicants must hold a current clinical appointment and professional healthcare qualification.